The gathering also pays tribute to all Filipinas who continue to strive to improve the lives of their families and their communities. Aries recognizes the journey to success is often stained by roadblocks that tests one’s strength, dedication and commitment yet Filipinas are known to stand up from the fall, wash their fears away and bravely face the world. 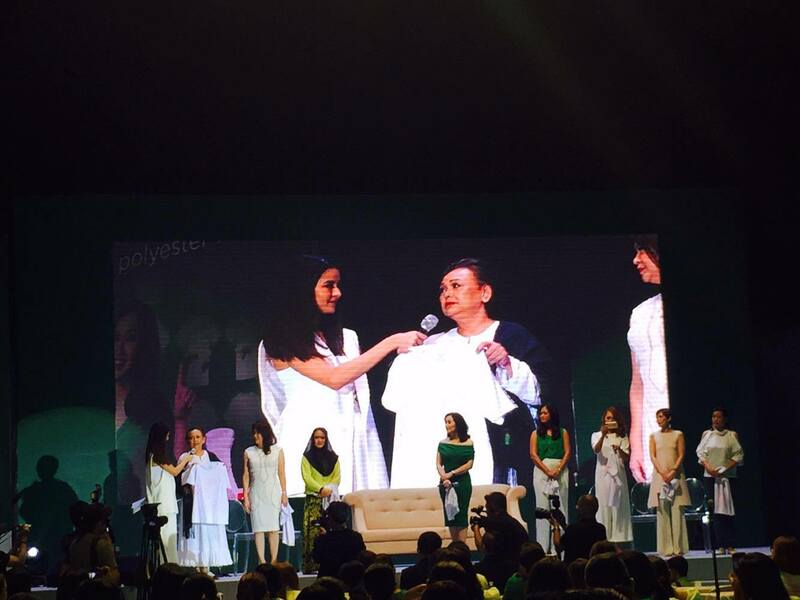 The other Fearless Women who shared their experiences are: Mirriam Quiambao, a fearless beauty queen; Amina Rasul who is known for being a fearless advocate of peace and development; health and environment advocate Anna Kapunan; Marilou Chua a former beauty queen who passionately advocates for children’s education; Samira Gutoc- Tomawis, a fearless journalist; entrepreneur Mandy dela Rama; Mons Romulo, a fearless lifestyle columnist; Aimee Carandang Gloria, a pilot; Badgie Geurrero-Trinidad, fearless founder of The Cravings Group; Emmeline Verzosa, Executive Director of the Philippine Commission on Woemn (PCW) and Maria Clara Ignacio, Chief of The Women’s Center of TESDA. “Sometimes, no matter how focused we are on our goals, there will be unexpected situations and stains that will challenge our abilities. 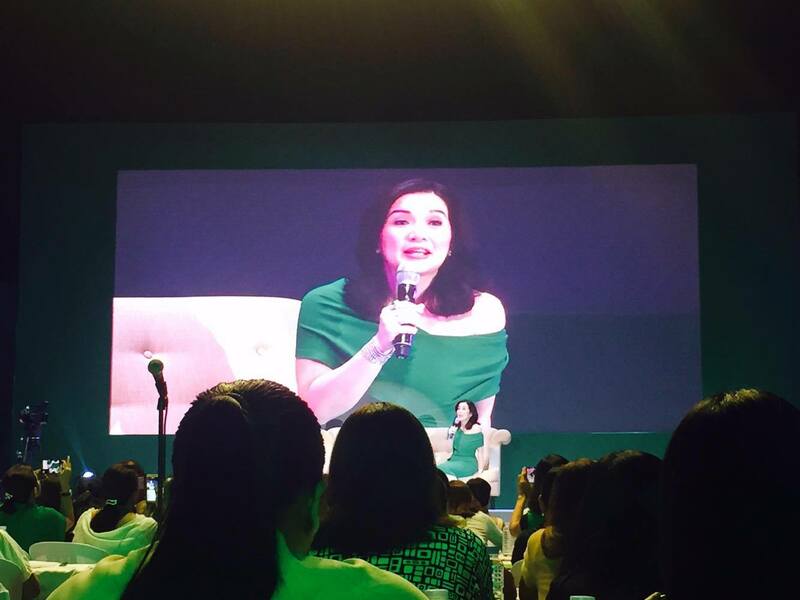 But being a Filipina and a mother, I learned to use the last ounce of strength to stand up and face my fears, said Kris Aquino. Beauty Queen Mirriam Quiambao shares her own challenging experiences and how she overcame it. “I draw a lot of strength from my faith. I had my own share of dark moments which lasted for years. My healing journey was filled with feelings of gratitude, positive thoughts, and lots of prayers. I believe Filipinas are strong because we love to pray. Meanwhile, Amina Rasul found herself being discriminated for being a woman and being a Muslim. When she first came to Manila, she felt the discrimination because most people treated her differently because she is of a different religion (most Filipinos are Catholics) and also because she came from the province.But she was able to overcome that and become successful with her life. Ariel, the leading detergent brand showed the audience that different stains are no match for Ariel’s superior stain removal components. 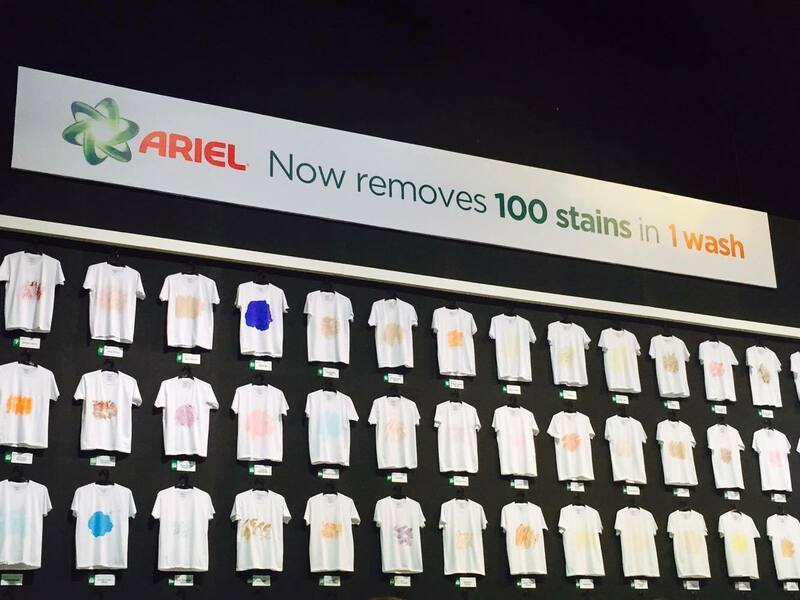 The audience witnesses Ariel’s stain removal power in removing 100 stains in just 1 wash with its optimized formulation which contains a higher level of active ingredients and smart enzymes. “Empowering Filipinas is at the core of what Ariel stands for, and we continue to find ways to drive conversations that can inspire more Filipinas to succeed in life. 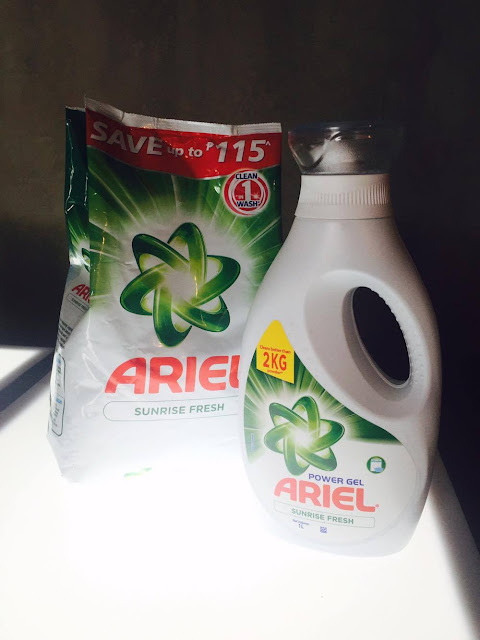 Ariel recognizes that Filipinas are now fearless in seeking new opportunities to propel them forward in life. This summit for women celebrates 100 fearless Filipinas who have demonstrated that fears are just stains that we have to be brave enough to remove. 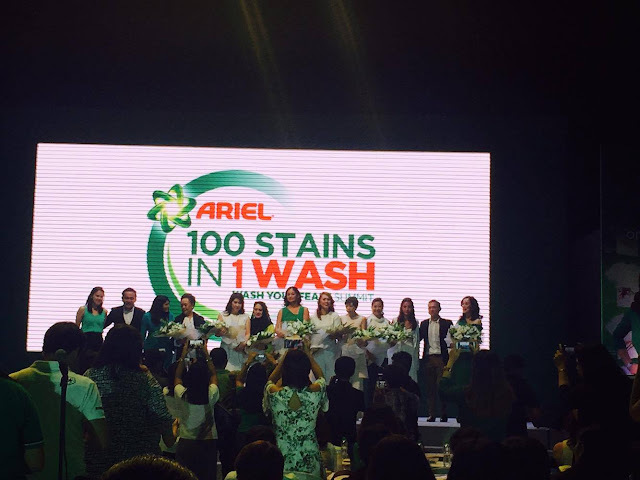 Be fearless like Ariel- tested and proven to remove 100 stains in 1 wash,” said Louie Morante, Regional Communications Manager for Fabric & Home Care, Procter & Gamble Southeast Asia. 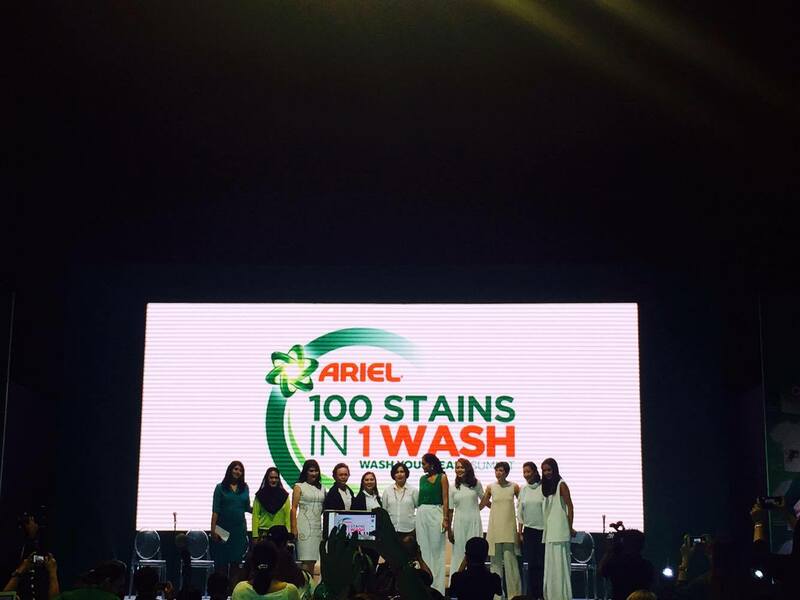 The Wash Your Fears Summit seals Ariel’s commitment to clean 100 stains in 1 wash. The power in every wash leads to a worry-free laundry experience, allowing women to have time for themselves and for the people around them.